It's true: Too much stress can lead to problems with learning and memory. Stress can make it harder for your brain to retrieve existing memories or form new ones. The negative effect on memory can be even more severe if the stress persists for long periods of time. As Harvard Medical School researchers have noted, "stress is strongly associated with poor memory." But there's a silver lining. A little stress can actually improve your memory. Pressure focuses the mind. Mild or moderate stress can help you perform well. The trick is to prevent feelings of stress from getting out of control or leading to procrastination. There are many ways to relieve stress, including activities that 1) relax the mind and body, 2) change your perspective, or 3) help organize your life. Below I explain how stress can hurt your memory and what you can do about it. High levels of stress, whether chronic or acute, have been shown to hurt memory formation and retrieval. It affects both working memory and long-term memory. Excessive stress makes it harder to learn, and it causes failures in remembering. CHRONIC STRESS. One mechanism for poor memory is related to stress hormones. Long-term exposure to the stress hormone cortisol impairs the function of memory areas in the brain. Research published in The Journal of Neuroscience and elsewhere (by Robert Sapolsky and others) has shown that repeated exposure to cortisol can lead to physical damage of brain cells in the hippocampus. The hippocampus is a primary location in the brain for memory formation and retrieval. In people with chronic high stress, the hippocampus functions more poorly and becomes susceptible to accelerated neuron (brain cell) death during normal aging. Neurons in the parts of the brain relating to learning, memory, and judgment don't function as well under stress. ACUTE STRESS. Research also has found acute high stress worsens memory. Scientists at the Institute of Experimental Psychology in Germany, for example, found that volunteers subjected to high acute psychosocial stress had impaired memory for word lists they had memorized the previous day. ...a significant negative relationship between stress-induced cortisol levels and performance in the memory task, i.e. subjects with high cortisol response to the stressor showed poorer memory performance. WORKING MEMORY. And if that weren't enough, other studies show that stress can also harm working memory, which occurs in the prefrontal cortex of the brain. Working memory is closely associated with short-term memory. When you hold a limited amount of information in mind and manipulate it - in order to solve a problem, for example - you are using your working memory. Excess stress can impair your ability to use your working memory effectively. So there you have it. Stress can worsen memory in several ways. Not only that, the worse your stress, the worse your memory may become! Now let's take a look at why you may be stressed and what you can do about it. Why Are We So Stressed Out? Your body reacts to perceived stress automatically. The body's stress reaction is normal, and it is important for survival. Stress hormones like adrenaline and cortisol are released into the bloodstream during challenging events. These hormones travel throughout the body and brain. They boost your energy, strength, and mental focus. This helps you fight back against threats. Throughout history, many threats a person might face were physical. But a lot of the stress in modern society is due to our way of thinking (our perspectives and judgements), rather than physical danger. A bit of positive stress can be motivational. If you perceive the situation as a challenge to overcome, you may feel energized. Fear or dread, however, has the opposite effect. Endless worry can interfere with your concentration and damage your health. As explained above, this "psychosocial stress" is one of the causes of poor memory. An unending parade of worry about potential bad outcomes in their lives has many people today living in a state of continual psychosocial stress. For example, if failure in a difficult task at work may result in job loss, a poor performance review, or the chance you might look foolish in front of your coworkers, then excessive worry about the assignment may begin to consume your thoughts. If you are someone who is overly stressed, this cycle of anxiety may repeat with every new situation. 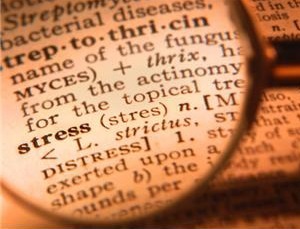 Excessive stress doesn't just harm the brain. Your body was not designed for a continuous outpouring of adrenaline, cortisol, and other stress hormones. If you feel stressed out much of the time, your health may suffer. Negative stress (or distress) can even accelerate memory loss in patients with Alzheimer's disease. So, prolonged high stress can hurt your memory: Recalling long-term memories may be more difficult, it may be harder to learn new information, and manipulating details using working memory may be impaired. It can also damage your health. But how can you relieve your stress? If it makes sense to remove one or more stressful activities from your schedule, then consider it. For stressors you can't simply eliminate (for example, heavy financial debt), seek assistance from someone knowledgeable who can help you create a well-thought-out plan. Having a plan to follow can help ease the mental pressure of worry. 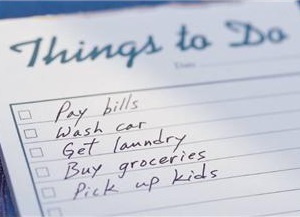 Simply getting organized can relieve stress. But no matter how you reorganize or rearrange your life, you probably won't be able to escape all stressful situations. Psychosocial stress is everywhere. First, keep in mind that a little stress creates positive mental pressure which can help your performance. It may even be good for your health. If you can, leverage this pressure as a source of energy, motivation, and mental focus. For instance, while taking the important exam, the desire for a high grade can strengthen your concentration and improve your memory of information you've studied. (Bad) News Is Stressing You Out! Second, eliminate unhelpful sources of chronic stress that are under your control. A great example is addiction to the news. Many people check headlines throughout the day. It's so easy to consult Yahoo News or The New York Times online. And, of course, stories are broadcast 24/7 on TV news stations. But most - let's face it - is bad news. Scary stuff. Consider if watching the news every day enhances your life, or simply adds to your stress. If you feel stressed out often, cut back on your exposure to news stories. You may feel more relaxed throughout the day and sleep better at night. Third, actively manage your stress. To prevent stress from become overwhelming, engage in activities that relax your mind and body. This will help remove excess cortisol from your system, and help you feel calmer. A quick fix is to reframe your view of the stressful situation. If possible, alter your perspective with a more positive spin. In the big scheme of things, is it really that important what your coworker thinks of you? Or whether you scored a B instead of an A on an exam? Feelings of stress are directly influenced by how you judge things. Change your perspective, and you just might start to feel better. 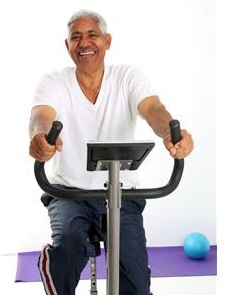 In addition, there are many physical activities that can reduce stress. These include listening to relaxing music, meditating or deep breathing, exercising and eating healthier, laughing, social activities with friends, and keeping a thankfulness journal. When stress becomes too intense or prolonged, your health - including your brain and memory - can be deeply affected in negative ways. Ultimately, though, you are responsible for your own feelings of stress. Take action to manage your stress level. Doing so may just improve your health AND your memory. If you find yourself unable to gain control of stress, be sure to consult a medical professional as appropriate. 1. "Breath Meditation: A Great Way to Relieve Stress." Harvard Men's Health Watch, Vol 18, No 10, May 2014. 2. Sapolsky, et al. "Hippocampal Damage Associated with Prolonged and Fatal Stress in Primates." Journal of Neuroscience, May 1989, 9(5): 1705-1711. 4. Kuhlmann, Piel, Wolf (2005). "Impaired Memory Retrieval After Psychosocial Stress in Healthy Young Men." Journal of Neuroscience, 25(11), 2977-2982. 5. Hellhammer, et al. "Stress- and treatment-induced elevations of cortisol levels associated with impaired declarative memory in healthy adults." Life Sciences. 1996;58(17):1475-83. 6. Bajbouj, et al. "Working Memory-Related Frontal Theta Activity Is Decreased Under Acute Stress." Psychoneuroendocrinology, 2014 May; 43: 105-13. 10.1016/j.psyneuen.2014.02.009.